By choosing this add-on, you can add any number of Roundabout designs as extra tiles to you Base Urban Set, instead of a more conventional "X"-intersection. Make sure you choose the same Theme as the one in your main Set. You have to pre-order a Base Set before adding any more tiles and/or base sets in your order. 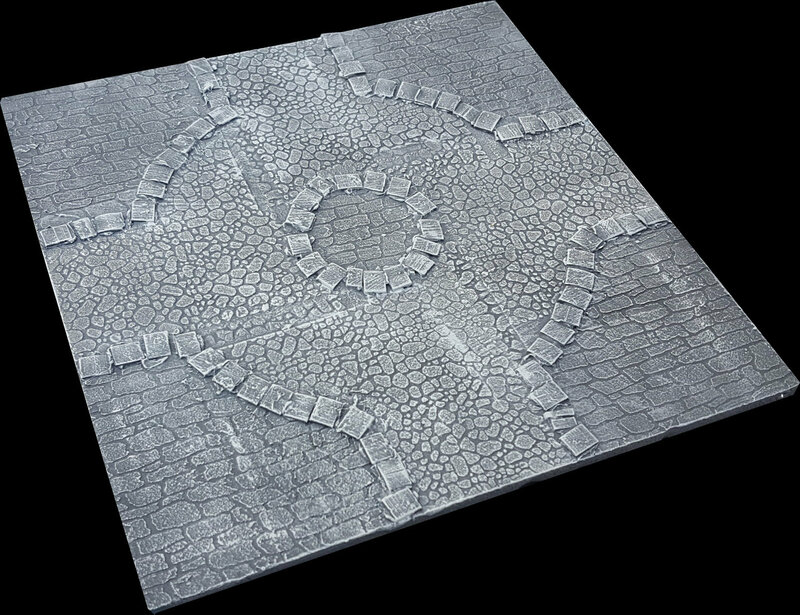 The design is available in all 3 Themes, but not for the Wider "Modern" Roads variant; 14cm wide roads simply do not fit in a roundabout tile. These 30cm x 30cm (1'x1') Tiles connect magnetically and can be configured to create or expand any Urban board. They come in 3 distinct themes: "Rustic", "Medieval" and "Modern" which cover a wide range of Urban environments and gaming themes.